Is a duly registered civic association and a member of Richard Wagner Verband International. 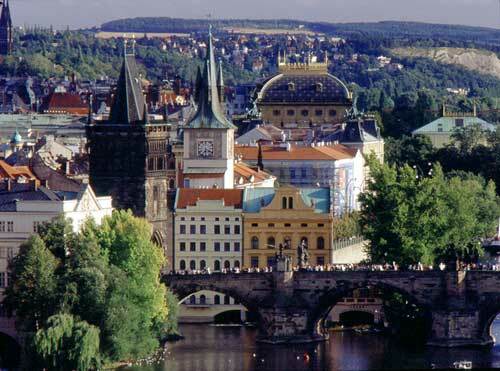 It was first established in 1993 with the Prague State Opera. It has been active in its current form since 2002. The Society acts as a platform for fans of Wagner’s music in Prague as well as in other Czech cities. Its activities, objectives and aims are set by the Society's Articles based on the internationally effective mission of Wagner Societies worldwide, namely promotion and advertising of Wagner’s work in the Czech Republic, efforts to promote the staging of Wagner’s operas and musical dramas in Czech opera houses, organising trips to attend performances of Wagner’s work in other European cities, holding meetings, lectures, concerts and other events aimed at popularisation of Wagner’s legacy in the Czech Republic. The Prague Richard Wagner Society, owing to recent history, ranks among smaller European Societies with about 50 of its regular members. Mrs. Ludmila Dvořáková and Mr. Antonín Švorc, both chamber singers, are honorary members of the Society, and Mgr. Eva Herrmannová, a prominent musical scientist, is the Society’s honorary president. Over the past few years, the Society has organised a number of successful events, such as trips to Vienna, Munich, Dresden, Nurenberg and Bayreuth where the members had the opportunity to attend Wagner’s operas, meetings with Wagner singers and an excursion to places Wagner visited in the Bohemia. The objectives of the Society for the forthcoming period are mainly raising interest in Wagner’s work in the Czech Republic and the increase in the number of its members. The key issue is finding sponsors who would assist in enhancing the scope of activities of the Society, such as attending annual congresses of Wagner Societies in other countries. The long term goal of the Society is to extend the framework of its activities with the view to secure a position for the Prague Richard Wagner Society that is due and worthy of Prague from the national as well as international perspective.